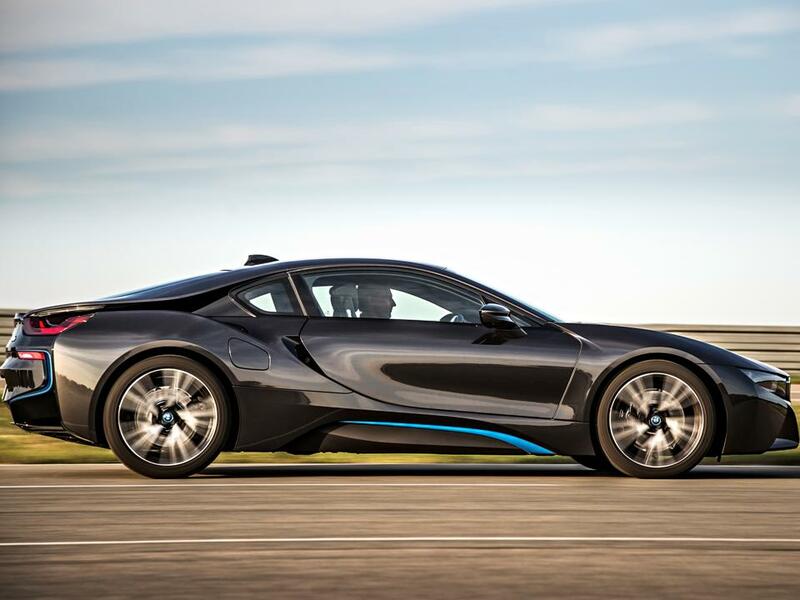 It is a 2+2-seater with LifeDrive architecture developed specifically for BMW i8, its aero-dynamically groundbreaking body design and visionary interior design deliver an intense driving experience; The Life module passenger cell is made from carbon-fibre-reinforced plastic (CFRP); the drive system technology consists of: high-voltage battery, chassis, and crash and structural functions integrated into the aluminium Drive module; its curb weight: 1,490 kilograms; drag coefficient Cd: 0.26; with a very low center of gravity (below 460 millimeters); with near 50/50 balanced weight distribution. 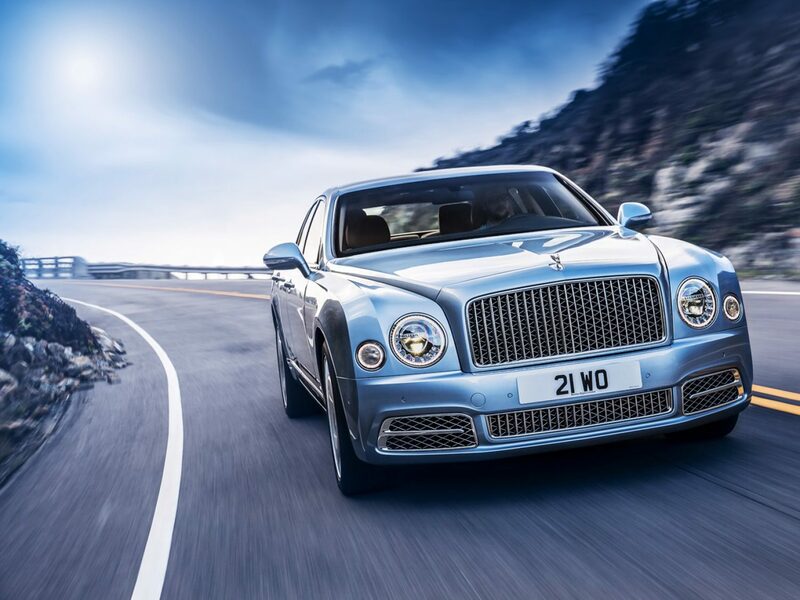 Its styling is as dramatic as its technology. 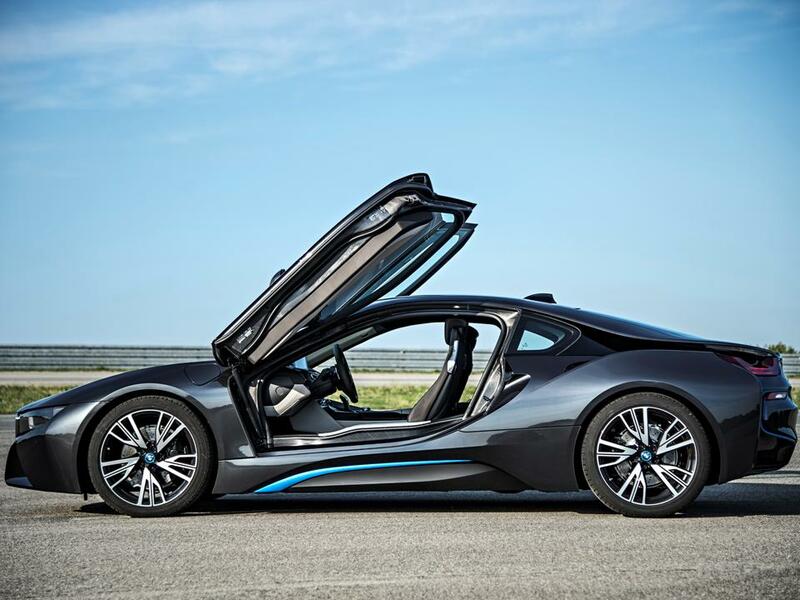 The BMW i8 offers a revolutionary and future-focused interpretation of BMW’s signature driving pleasure. The impressive structural strength of the CFRP passenger shell allows particularly large door apertures, making entry into the rear compartment easier. The doors open forwards and upwards and are made from a CFRP inner structure covered on the outer skin with aluminium. 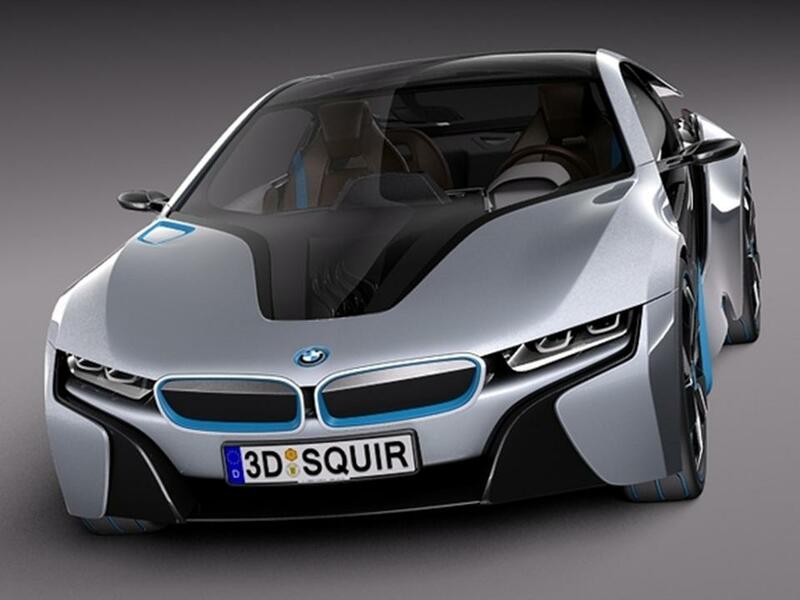 It is the world’s first volume-produced vehicle to have chemically hardened thin glass. 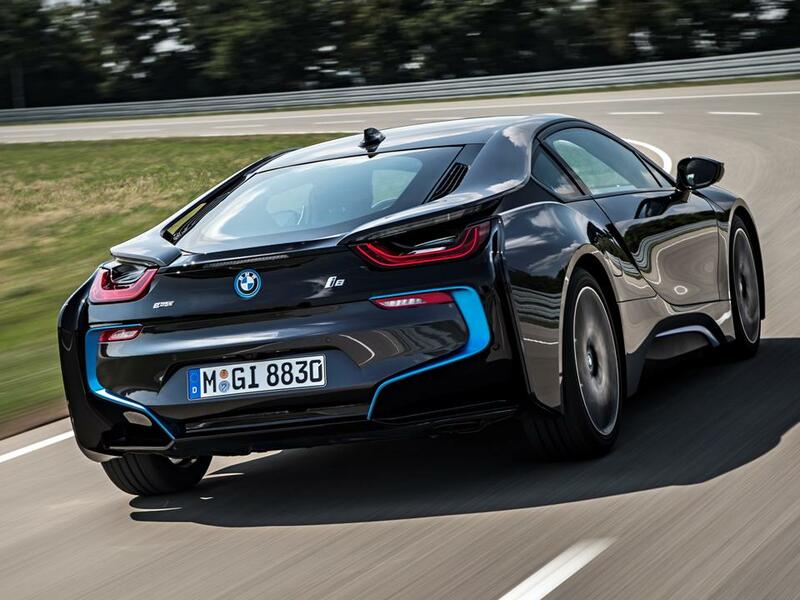 The overall silhouette of the i8 is avant-garde and Twenty-first Century in a futuristic style. The drive train system technology, high voltage battery, chassis, crash & structural functions are integrated into an aluminium Drive module. 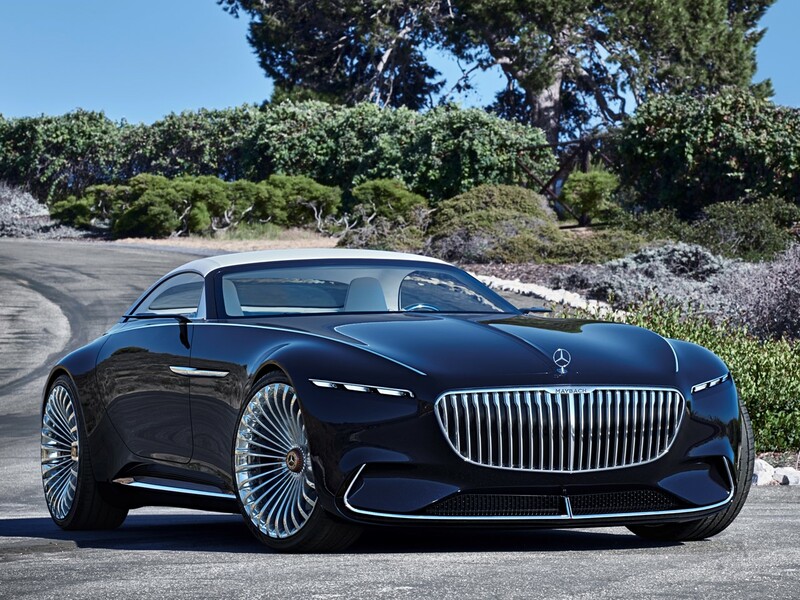 Its 1.5 litre combustion engine produces 231 hp sending power to the rear axle. A 96 KW 131 hp electric drive sends power to the front wheels powering a distance of up to 22 miles with a top speed of 75 mph. It uses a lithium-ion high-voltage battery with liquid cooling and usable capacity of 5 KW. 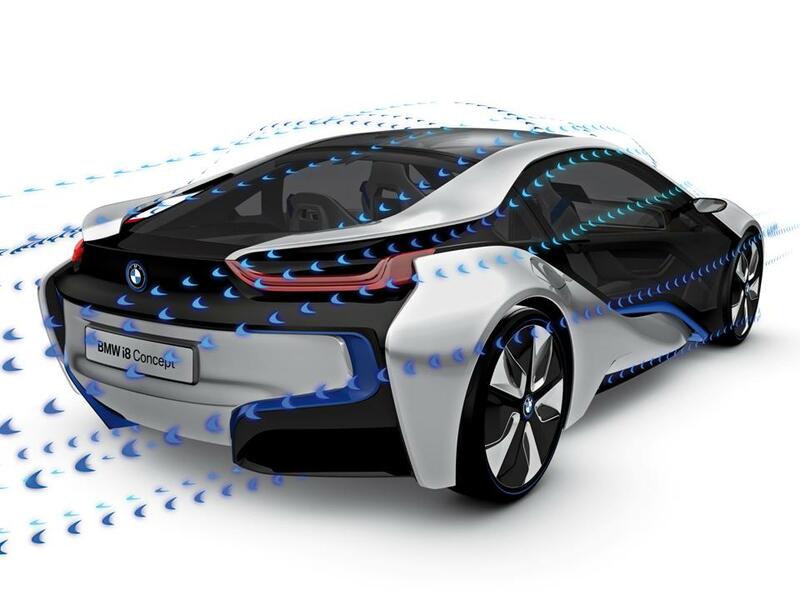 Here’s the power equation: The combination of BMW TwinPower Turbocharging + BMW eDrive Technology + Intelligent Management = a system total output of 362 hp with maximum torque of 570 Nm. 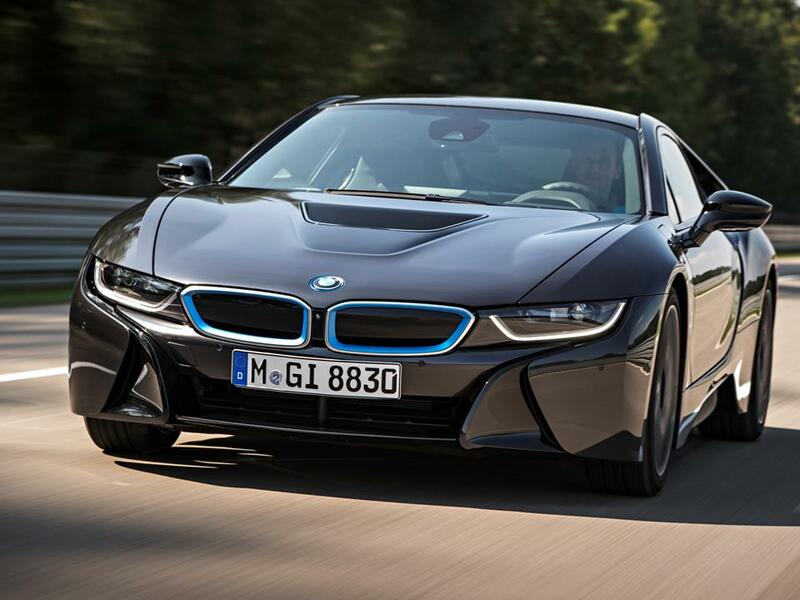 The i8 moves from 0-62 in 4.4 seconds……this is an all-wheel drive experience! 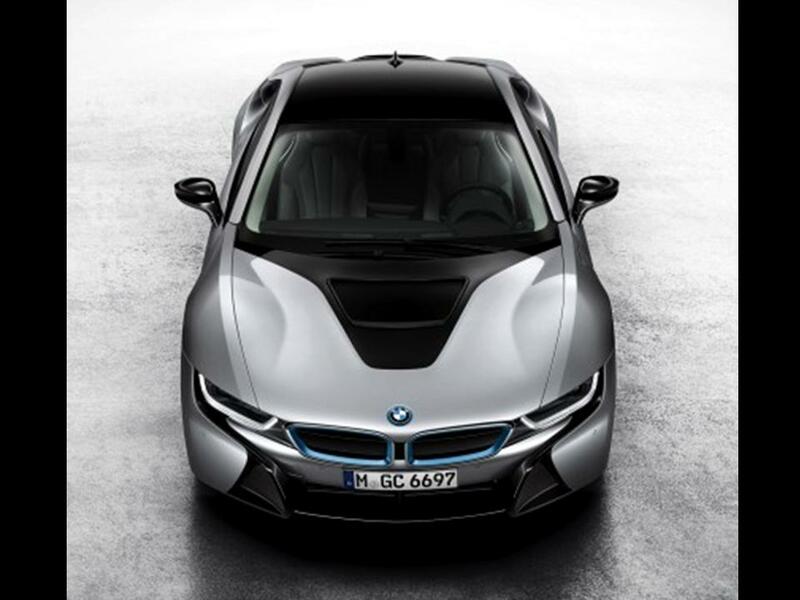 Full LED headlamps are standard as all of the i8’s lighting inside and out…not a single bulb. Innovative laser headlamps are an option world-wide. 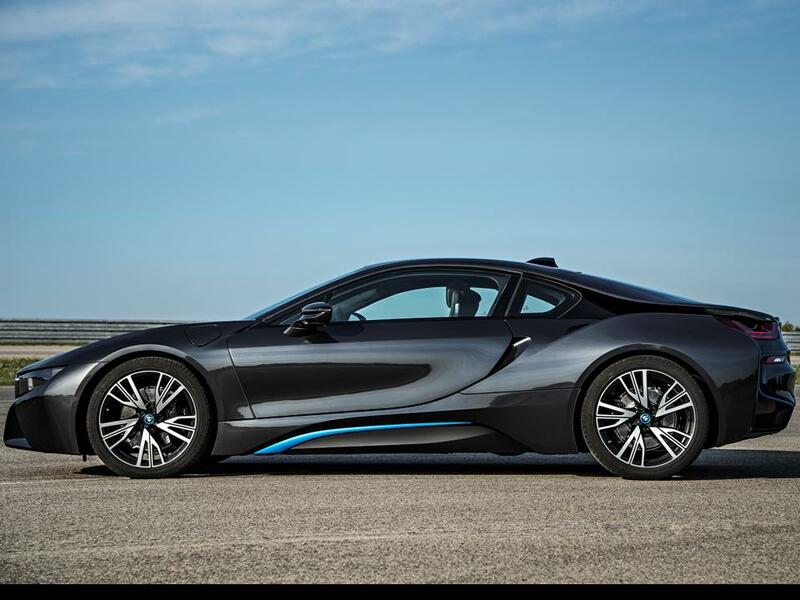 The BMW i8 is the world’s first series-produced vehicle to be available as an option with innovative laser headlights, which generate a pure-white, extremely bright light that is pleasant to the eye. The light is created through the conversion of the beams emitted by tiny laser diodes by means of a Fluorescent phosphor material inside the headlight. Laser lighting is monochromatic, which means that the light waves all have the same length. They also have a constant phase difference. As a result, laser lighting can produce a near-parallel beam with impressive luminance, which gives it intensity a thousand times greater than that of conventional LEDs. The beam can also be adjusted extremely precisely. At the same time, the further optimized inherent efficiency of laser lighting means that laser headlights have less than half the energy consumption of even LED headlights, which are already very efficient; laser lighting generates approximately 170 lumens (a photometric unit of light output) per watt, whereas LED lighting generates only around 100 lumens per watt. 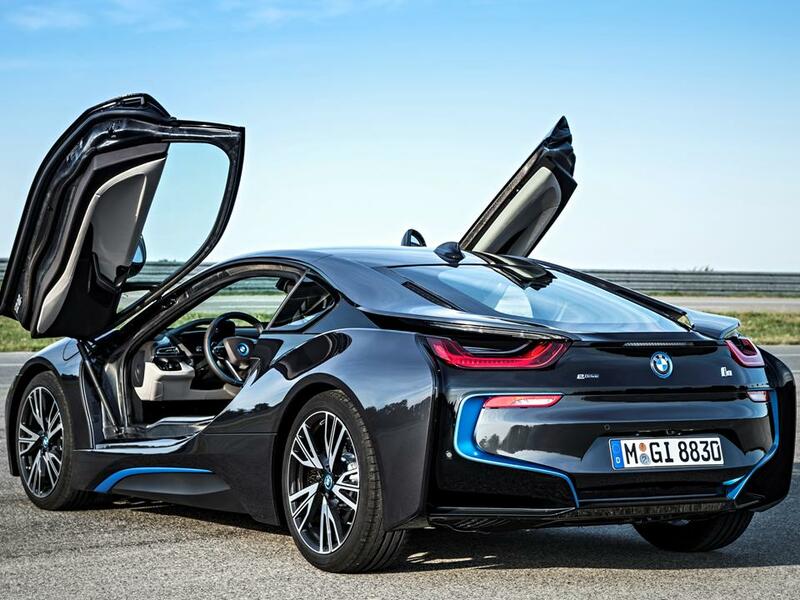 The familiar kidney grille, large front apron air intakes, and LED headlamps with the hallmark U-shape make the i8 unmistakably BMW. 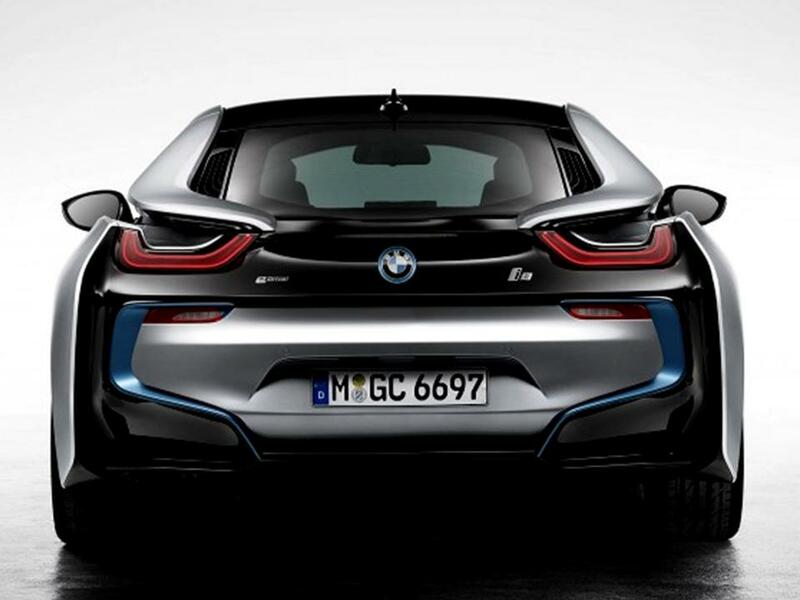 A signature i8 feature is the “black belt.” It emerges as a “V” shape from the bonnet and extends back over the roof into the rear section of the car where it frames the center section of the rear apron. In the front the black belt is framed by the body-colored apron and side panels while in the rear it is overlapped by “floating” roof pillars that extend over the rear lights. 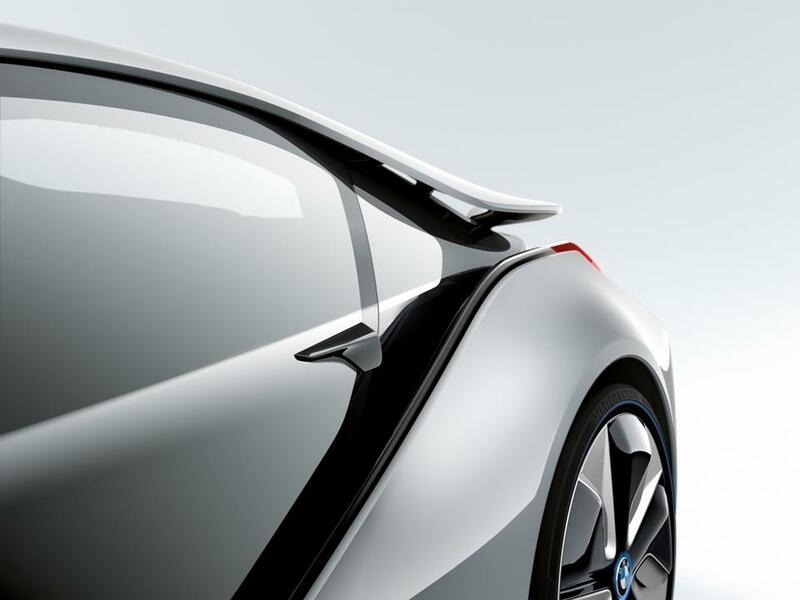 Its side window graphics manage air flow between the roofline and the character line rising through the rear section of the i8’s flanks towards the rear spoiler. 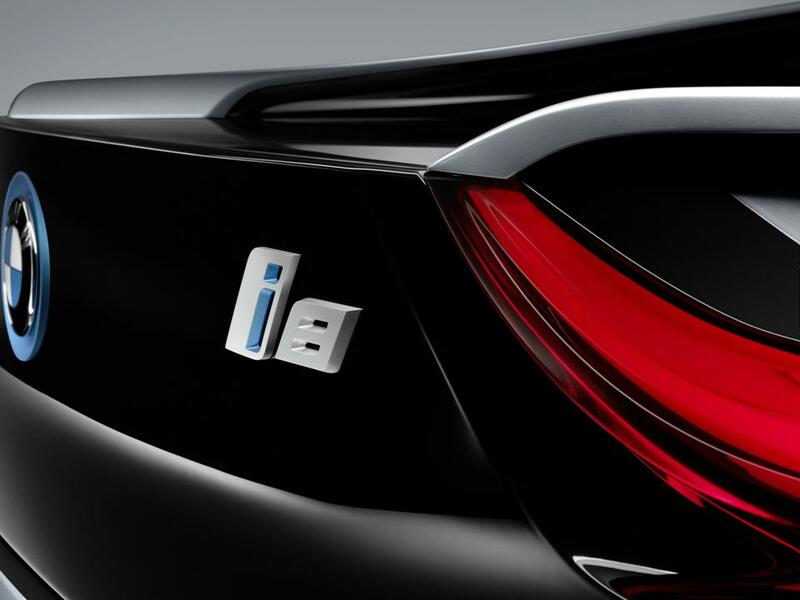 The rear intricately designed tail lamps feature the BMW U-shape also. The low-slung stance and the rear lights, reflectors and diffuser form a single visual unit. The directional indicators are integrated above the rear lights into the downsweep of the roofline. 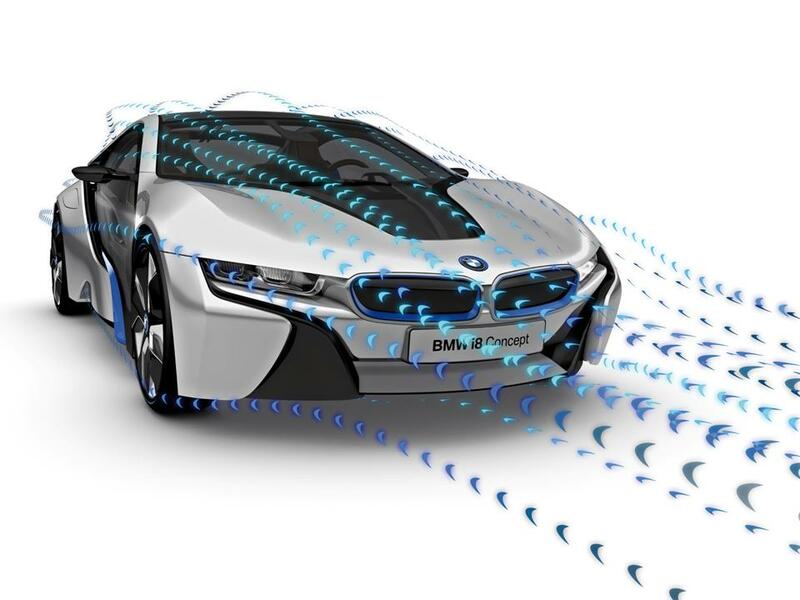 The development of BMW i cars follows a revolutionary approach, a strategy focusing on the creation of premium cars purpose-designed to be powered by purely electric or plug-in hybrid drive systems. 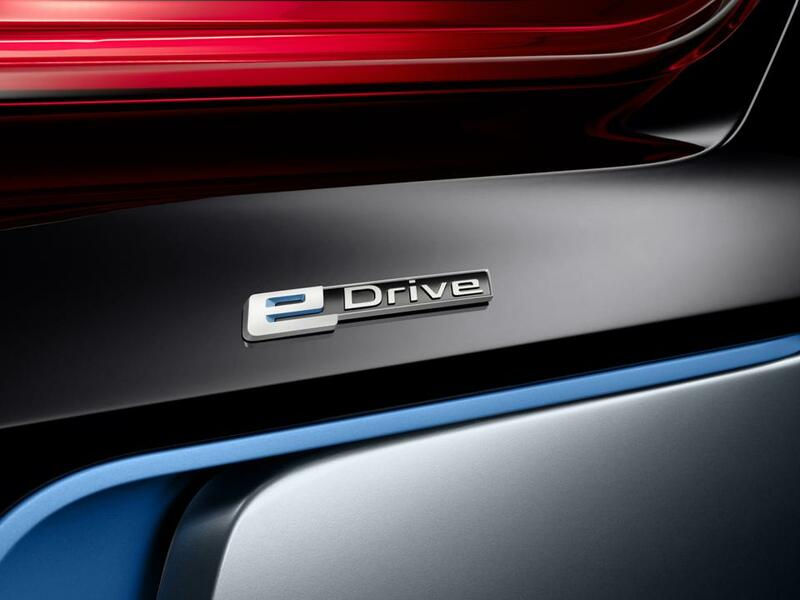 This electric drive technology (packaged under the BMW eDrive banner) is therefore a central component of the vehicle concept – in contrast to the “conversion” model, where vehicles are retrofitted with electric drive systems. 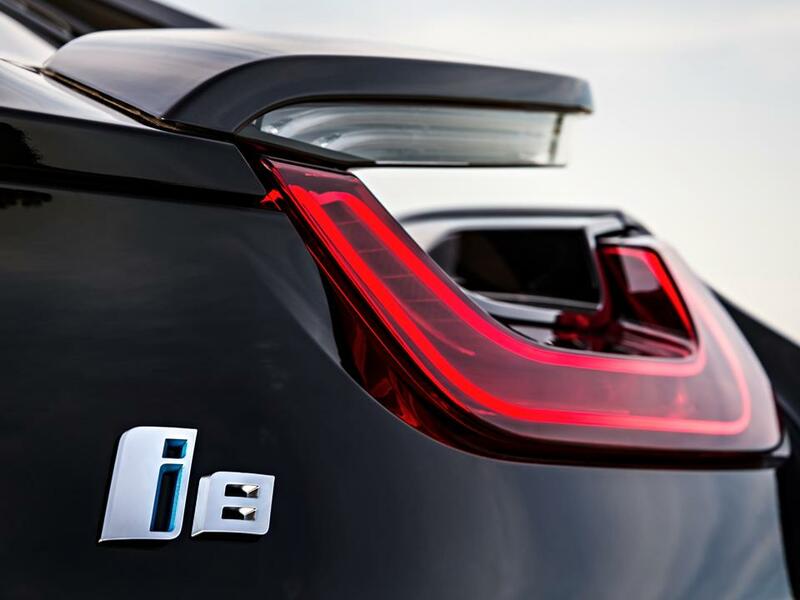 Characteristic BMW driving pleasure coupled with emission-free mobility, precise energy flow management,pioneering design, intelligent lightweight construction and production. 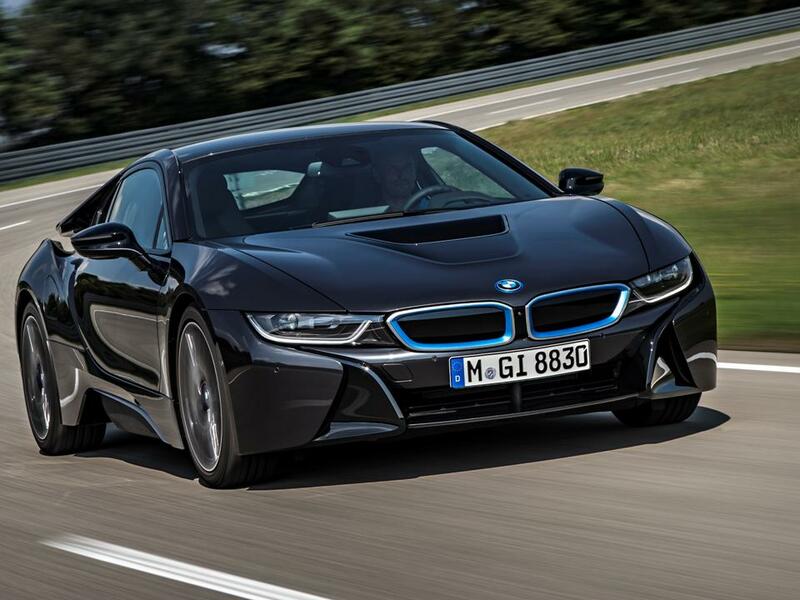 The BMW i8 is the next generation of the supercar………. Howdy! I just wish to give you a huge thumbs up for the great info you have got right here on this post.